After Three Decades Faith No More Still Care A Lot! 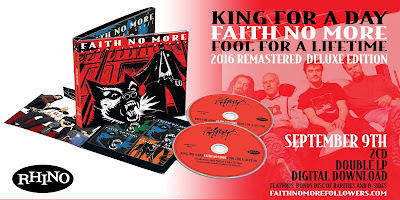 2015 was undoubtedly one the most exciting years to be a Faith No More fan. With a brand new album, a world tour, tv/radio appearances and numerous interviews it was over 12 months of genuine happiness for us. 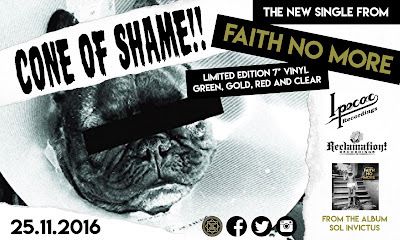 Some fans had waited 17 years to experience the joys new music brings, others never had the pleasure of anticipating a new FNM release before. It goes without saying that we were all hoping for some kind of continuation or added extras from Sol invictus in 2016 but we were expecting a relatively quiet chapter in FNM's history compared to the previous year. This year has seen reissues of their classic catalogue, two unforgettable shows, a single and new video, plus some of their most revealing interviews. Not to mention the endeavours of the individual members outside the ranks of FNM. In summary another wonderful year in which we have been yet again surprised and spoilt. So here is our month by month recap of some of the most memorable moments of the last 12 months. 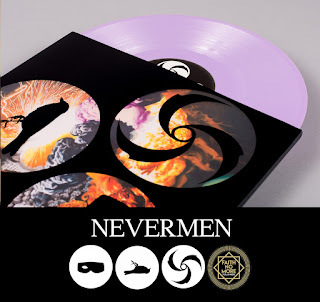 Nevermen video for the song Mr Mistake created and hand drawn by Sarina Nihei. Jon Hudson talks to TotalGuitar. 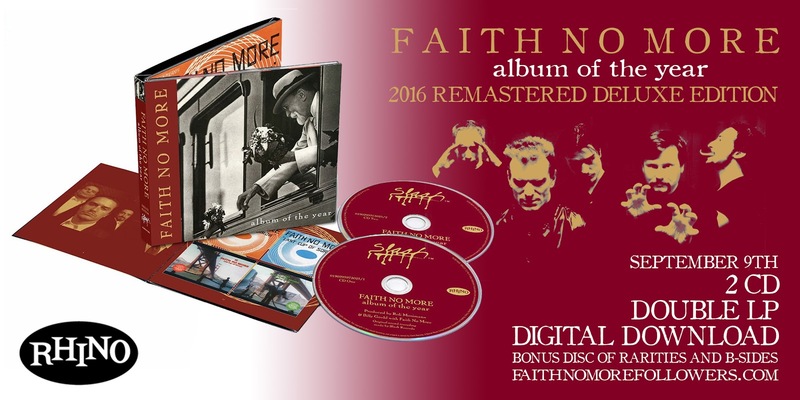 25th anniversary of Faith No More Live at Brixton Academy. READ MORE. Kaada/Patton video for the song Imodium directed by Alexandru Ponoran. Fan made video for FNM Superhero by Rafael Barros. Patton/Kaada interview on BBC 6 Music. 20th anniversary of Mike Patton's first solo album, Adult Themes For Voice. READ MORE. Rhino Records release I Started A Joke on vinyl. Part of the SIDE BY SIDE Series, pairing two artists with one classic song, pressed on mint green vinyl. READ MORE. 20th anniversary of Imperial Teen's debut album Seasick. READ MORE. Bill Gould was invited to Metal Hammer's 'Golden Gods' award ceremony at Hammersmith Apollo in London to present Anthrax with the 'Inspiration' award. He also was captured on video talking about the culture of rock music. Bill Gould interview with TeamRock in which he discusses the making of We Care A Lot. READ HERE. Chuck Mosley interview with SongFacts. READ HERE. 25th anniversary of Bill + Ted's Bogus Journey Soundtrack. READ MORE. 15th anniversary of Fantomas The Director's Cut. READ MORE. Mike Patton interview with Jehnny Beth on Apple Music. LISTEN. Chuck Mosley played Beery's in New York and was joined by Roddy Bottum who performed an acoustic version of the Imperial Teen song Butch. 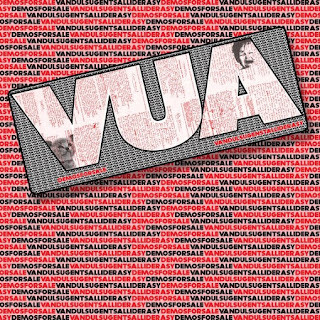 Chuck Mosley releases Demos For Sale on CD and vinyl via EMP records. BUY HERE. Bill Gould talks to Daniel P Carter on the apple podcast 'Someone Who's Not Me'. 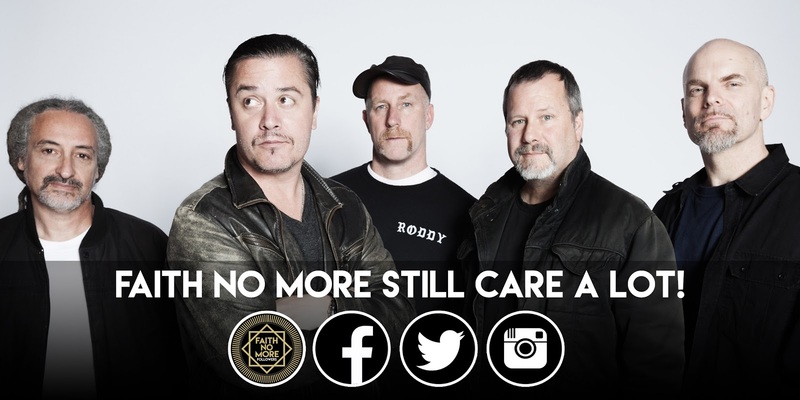 They discuss Bill's history as a bass player, the history of Faith No More and the reissue of We Care A Lot. LISTEN HERE. 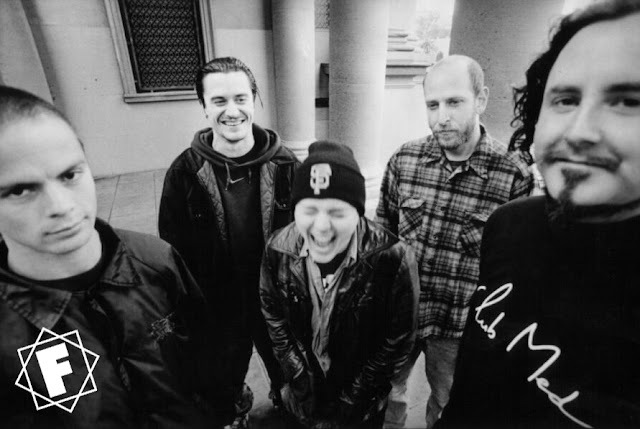 25th anniversary of Mr. Bungle's debut album. READ MORE. Faith No More a specialist subject on UK show Mastermind. READ MORE. Confessions of Roddy Bottum interview with TeamRock. READ HERE. Chuck Mosley and Friends show at GAMH in San Francisco and The Troubador in Los Angeles. SF / LA. Faith No More release rare unseen footage Live at the I-Beam - San Francisco, CA - Jan 13, 1986. Bill Gould talks with Adriano Mazzeo about the reissue of We Care A Lot, the shows with Chuck Mosley and more. READ MORE. This only leaves us to anticipate what 2017 will offer. It is true that FNM have earned a break and could quite rightly leave us to digest the last two years of hard work. But ever unpredictable we can never be sure what delights this next year will present. Don't forget 2017 sees the 30th anniversary of Introduce Yourself, the 25th anniversary of Angel Dust and the 20th anniversary of Album Of The Year. Both Bill and Mike B have mentioned they have material left over from the Sol Invictus sessions, Mike declaring he would love to return to the studio with FNM. Jon Hudson told FNM followers he was writing new music And Mike P has also said there is unfinished business. However with individual members being busy we may have to wait until 2018. Bill will most certainly be driving Koolarrow and is currently rapping up the production of new Como Asesinar a Felipes music. Roddy has a new Imperial Teen album in the works. He has penned a brand new Opera, The Ride ..... and is possibly returning to Sasquatch the Opera for performances outside the States. Mike Patton will be performing new Tētēma material in January. 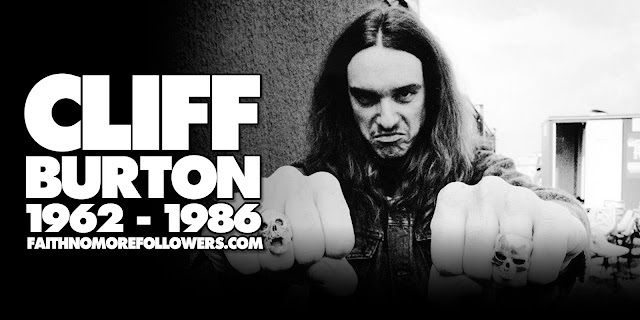 Plus he is in the studio with Dave Lombardo's Dead Cross. We have no doubt he will be continually busy.